Which of the following best describes the organization applying for membership? What interests your organization most about joining the Network? Please list or link to your organization’s main projects and/or priorities, particularly any projects that align with the WE Global Network mission. Does your organization operate within a defined geography? Would your organization be interested in applying for WE Global core membership in the future? 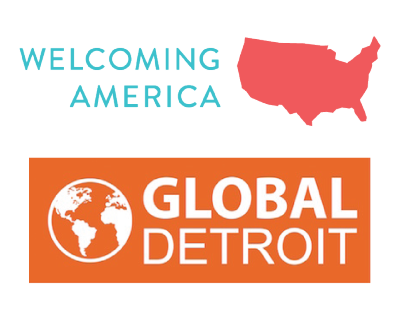 WE Global core members are generally involved in two or more immigrant economic/community development activities that welcome, retain, and/or empower immigrants. Please describe or link to at least two examples of your organization’s work that align with the WE Global Network mission, including initiatives or programs led by your organization. e.g. immigrant entrepreneurship program. WE Global core members lead the development and/or implementation of local immigrant economic/community development initiatives in their communities. Please describe your organization’s role as a leader of immigrant economic/community development efforts in your region. Feel free to attach or link to evidence of regional leadership recognition such as media reports, partnership lists, advisory roles, or other materials. *Organizations outside of the 10-state WE Global footprint must meet the Network’s established demographic criteria and be approved by the WE Global Steering Committee. If additional staff from your organization would like to receive access to member benefits and communications, please click “Add additional staff” below (limit of 3 additional staff). Please upload a transparent, high resolution .PNG image.